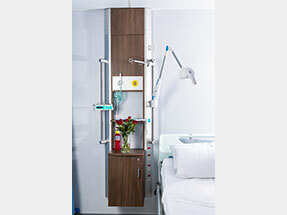 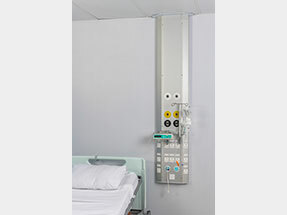 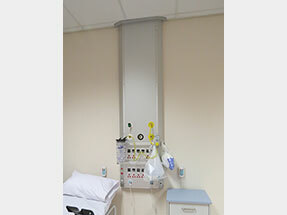 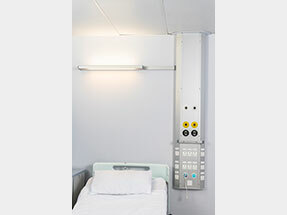 The HU21-07 is predominantly found in VIP wards and consists of a wall mounted bedhead service system incorporating a unit mounted light and bedside cabinet. 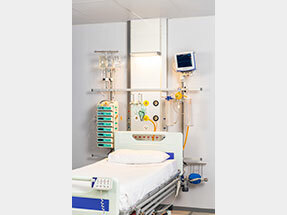 The HU21-08 is a wall mounted bedhead service system utilized as a single bed unit within the Intensive Care and High Care areas. 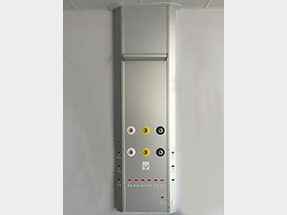 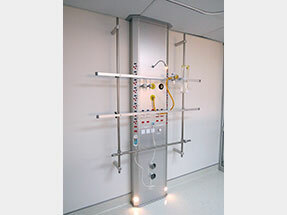 The HU21-09 and HU21-10 are wall mounted vertical bedhead service systems with provision for water and drainage points for use with Renal Dialysis.